The lionfish’s scientific name is Pterois, which means feathered or winged. This may be because its spines look like wings in full display. No one is quite sure how the lionfish got its name. The name may come from how the fish, with all its spines, looks like the head of a lion with its mane. They’re known for the beautiful, zebra-like pattern on their bodies and their spines. One of the most common lionfish species is the red lionfish, distinct for its red, white and dark maroon stripes. Lionfish are also known as zebrafish, firefish, turkeyfish, butterfly-cod, scorpion fish and dragon fish. Because of their beauty and color, lionfish are popular aquarium fish. The size of a lionfish depends on the species it belongs to. The smallest lionfish species grows to only two inches in length. 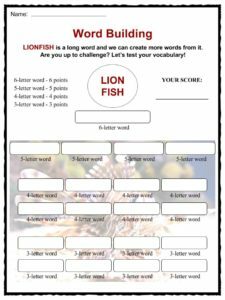 However, lionfish can grow to a maximum length of 12-15 inches long and can weigh up to two and a half pounds [more than a kilogram]. To date, the biggest lionfish ever caught was 19.5 inches [47.7 centimeters] long. It was speared near Islamorada in Florida. Lionfish can live 10 to 15 years in the wild. They reach adult size when they’re about two years old. Female lionfish start to become sexually mature and lay eggs when they reach 7-8 inches in length or when they are about one year old. A female lionfish releases up to two million eggs in a year – or about 10,000 to 30,000 eggs every four days. However, they do this when they’re in warmer waters like in South Florida or the Caribbean. They can only spawn three to four times in colder seas. Every spawn, the female releases two egg sacs. According to reports, a lionfish’s egg sac has a chemical deterrent that prevents other fish from eating it. The egg sacs are distributed via the water’s current. The eggs hatch in two days. In the lab, scientists observed that lionfish die when the water temperature reaches 10˚ Celsius [50˚ Fahrenheit]. A lionfish’s baby is called a fry. Fries live near the water’s surface until they’re big enough [when they reach about an inch in length] to swim to the deeper parts. Lionfish can dive as far as 305 meters [10,000 feet] underwater. Once a lionfish establishes its territory, it doesn’t go far away from it. It only leaves its territory when it mates. Lionfish are solitary creatures and can get very territorial. However, they can also live in small groups consisting of one male and several females. The lionfish is not poisonous but is venomous. Because the fish is not poisonous, it’s safe to eat without having to remove any special organ or part from its body, like the puffer fish. The lionfish’s venom is contained in its spines. It has more than 19 spines and 13 of these are found along the backside of its body. It doesn’t use its spines to hunt; they’re only used for self-defence. A lionfish’s venom is protein-based. It can be rendered inactive by applying heat or freezing. So, if someone gets stung by a lionfish, first aid is to pour non-scalding, hot water on the affected part. 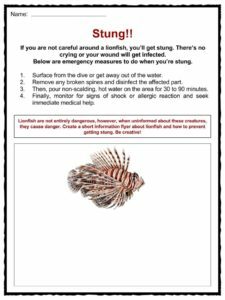 The first aid for a lionfish sting is as follows: surface from the dive, remove any broken spines and disinfect the affected part. Then, pour non-scalding, hot water on the area for 30 to 90 minutes. Finally, monitor for signs of shock or allergic reactions and seek immediate medical help. 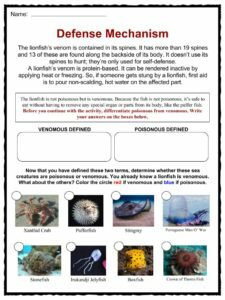 A lionfish sting is not fatal as, to date, there have been no reports of deaths due to lionfish venom. Usual reactions after being stung by a lionfish are nausea, dizziness, difficulty breathing, vomiting and high fever. Lionfish have feathery pectoral fins that they use to attract smaller prey. They also use these same fins to warn predators away. 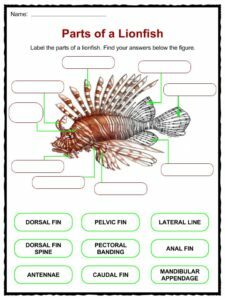 Lionfish are diurnal animals. This means they’re active during the daytime. They usually hunt in the hours between dusk and dawn. A lionfish is known to eat just about anything as long as it can get its mouth around it! 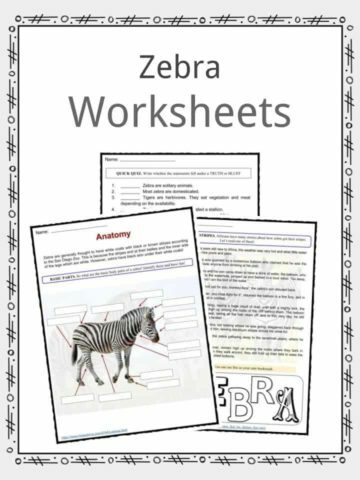 This includes about 70 various species of fish, invertebrates and molluscs. They can even reportedly eat prey that is more than 50% bigger than their body size. One unbelievable fact about the lionfish is that its stomach has the ability to expand up to 30 times its normal volume. One lionfish was recently found to have 60 prey inside its stomach! Because it eats almost anything, scientists deduced that a single, small lionfish has the ability to reduce the population of young native fish in any given reef by 79% in five weeks. Controlled studies showed that lionfish only lose 10% of their body mass after more than three months without food. Scientists also observed that they resort to cannibalism when food is scarce (a lionfish hunts down another lionfish to eat). Lionfish are native to the Indo-Pacific region. However, they have been found to thrive in waters that are not their native habitats. This could be brought about by being accidentally or purposely released from their aquariums. Because of their beauty, lionfish are popular aquarium fish. There are reports that show lionfish being introduced to surrounding waters following hurricanes and storms, or by pet owners jokingly letting their pets go free in seas near their area. 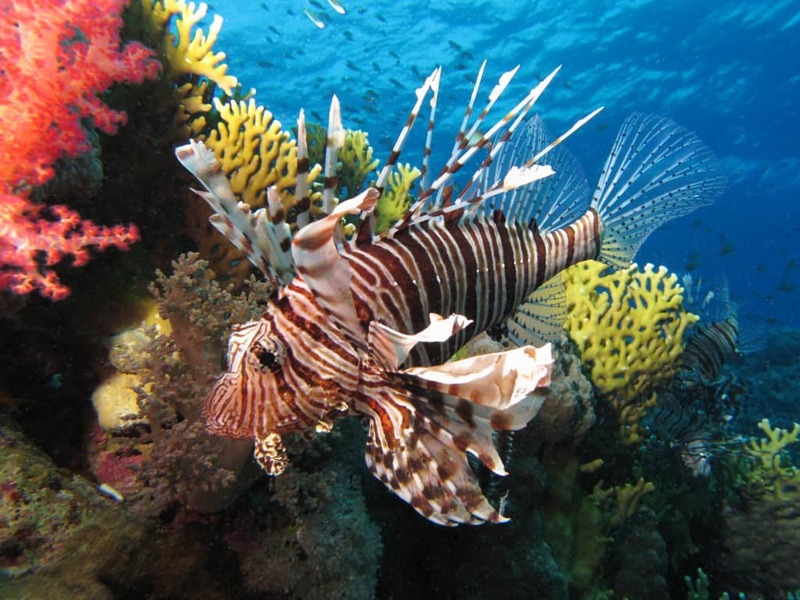 As their reproduction rate is high, lionfish are a threat to the reefs they’re introduced to. They easily occupy new homes and outnumber the native species found in that area. 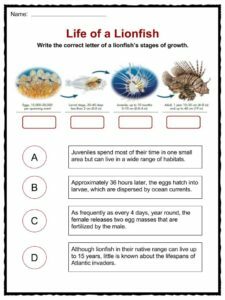 Actions have been taken to control the lionfish population. Part of this is reminding pet owners to be responsible when they do decide to have lionfish for pets. 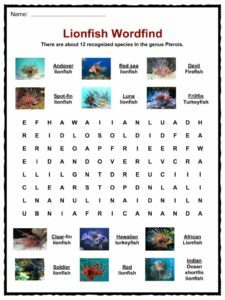 The lionfish is not endangered. 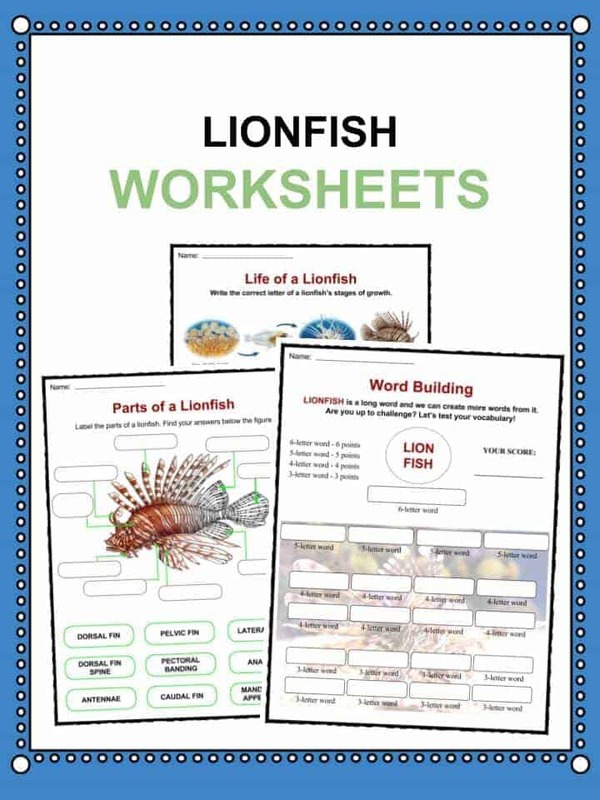 This bundle contains 9 ready-to-use Lionfish Worksheets that are perfect for students who want to learn more about The lionfishwhich is one of the most beautiful fish you can see when diving. With its brightly-colored stripes, fancy-looking fins and amazingly long and colored spines, the lionfish is a sight to behold underwater.